NEW BEDFORD, Mass.—Scallopers in New Bedford honored Gov. Deval Patrick at a luncheon Friday for his efforts in supporting area fishermen in regulation talks. Scallop boat owners and fishermen in New Bedford, and all of New England, are locked in a battle with regulators. Currently, scallopers are allowed to fish only 42 days a year. “Our days at sea were reduced by 40 percent by the New England Fisheries Management Council in December. The governor got right on the phone and he talked to the chair of the council and set up a meeting,“ said John Murray, scallop boat owner. A year ago, the governor talked with scallopers and learned of their situation. He then made a successful argument to the council. Shad may have saved George Washington's army – and countless other European settlers – from starvation, but the bony fish's reputation has declined so precipitously in recent decades that organizers of an annual shad festival in North Carolina are unabashed about excluding it from their festivities. "We do have fish, but we don't have shad," Grifton Shad Festival secretary Janet Haseley says cheerfully. "We used to have herring, but now we fry commercially raised catfish." Shad do make a cameo appearance at the 40-year-old festival, which returns to Pitt County this month: In addition to dozens of events punning on shad's name – including Shad-O and a 5K "Spring Shad Run" – the event schedule features a frozen shad toss. "We freeze shad for tossing, and, afterward, we bury them for fertilizer," Haseley says. "Some of the animal people were kind of upset about it, but we think that's a pretty responsible way to do it." Read the complete story at Slash Food. Massachusetts Governor Deval Patrick will visit New Bedford on Friday, April 9 at 2:15 pm to talk with members of the industry and tour a scalloping vessel. Industry members are welcome to attend. The starting location for the event will be the docks behind the Waterfront Grille, 36 Homers Wharf, New Bedford. The Northeast Fisheries Summit was held at the New Bedford Whaling Museum in New Bedford, Massachusetts on Monday, March 8, 2010. The meeting was co- sponsored by the City of New Bedford, University of Massachusetts Dartmouth, and the Massachusetts Marine Fisheries Institute (MFI). The Summit was intended to restore a foundation of trust between NOAA and the fishing industry through dialogue focused on the shared objectives of sustainable fish stocks and the economic viability of fishing communities. The principles of equity, fairness, conservation, preservation of jobs, income, fishing communities and families, minimization of waste, and flexibility in management can only be realized through a collaborative approach to management. Three panels facilitated discussion. The issues selected were (1) catch shares and sectors, (2) scallops and scallop bycatch, and (3) amending the Magnuson-Stevens Act (MSA). Read the Northeast Fisheries Summit Summary Report. Bradley Styron wants folks to know that his vote against federal measures to regulate weakfish fishing in North Carolina was not about personal interest but political principals. 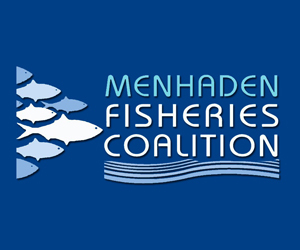 The NC Marine Fisheries Committee (MFC) has voted to go out of compliance with federal rules designed to protect dwindling weakfish stocks. Some recreational fishing advocates have claimed that Styron, who owns Quality Seafood in Cedar Island, was among several MFC members who voted to disobey the feds due to personal financial gain. Styron says his vote has nothing to do with money for himself, however. Read the complete story at The Examiner. Whaling City and Boston Seafood Display Auction Co-Owner Richie Canastra and New Bedford Mayor Scott Lang appear on Fox Business News America's Scoreboard to discuss why they believe new government regulations could put many fishermen and seafood operations out of business. Mayor Lang suggests that the government should get their allocations correct "to avoid putting people out of work, and having people lose their boats, homes and their kid's dreams." 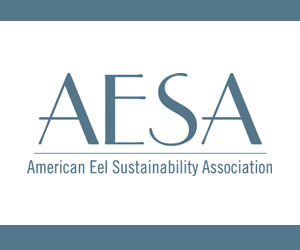 Richie Canastra warns that if the Federal Government destroys New England's coastal industries with ill-designed regulations, the industry will not be able to come back again if those regulations are loosened later. 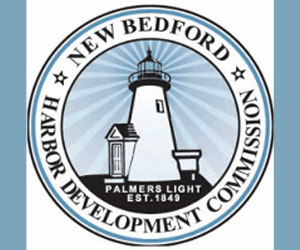 The Mayor’s Ocean and Fisheries Council (MOFC) met March 30th at the United Fishermen’s Club in New Bedford, Massachusetts. 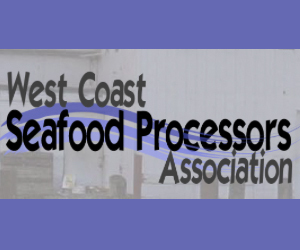 The meeting was held to form a position on the joint management of scallops and groundfish. This document presents the recommendations developed at the meeting. The New England Fishery Management Council (NEFMC) formed a joint committee to address the interactions between scallops and groundfish. 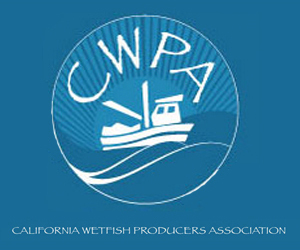 The committee is currently in the scoping stage of developing a joint groundfish – scallop amendment. Anticipating the potential implications of this amendment, the MOFC met to discuss the draft scoping documents. Scoping material will be discussed at the upcoming Joint Groundfish-Scallop Oversight Committee meeting on April 5, 2010 at the Seaport Hotel in Boston, Massachusetts. Regarding the potential use of sectors to facilitate the transfer of groundfish, the MOFC was strongly opposed. MOFC participants felt that the transfer / purchase of quota does not require sectors and could be facilitated on the individual level. The MOFC felt that the straw-man goals presented by the joint committee do not address the important problems – in response the MOFC recommends the following issues take precedence: (1) year-round closures, (2) habitat closures, (3) establishment of access area time periods, (4) yellowtail rebuilding schedule, (5) baseline targets, (6) fishing year start, (7) gear modifications. The MOFC is advocating that the benefits of the year-round closures on Georges Bank be evaluated and that modifications be considered. The analysis should cover the social, economic, and biological costs and benefits of the current closures and the proposed modifications. One option suggested was to eliminate the year-round closures and institute seasonal spawning closures. With the implementation of sectors for the majority of the groundfish fleet, year-round closures as an effort control may be unnecessary. The MOFC is advocating that the habitat closures on the northern edge of Georges Bank be converted to scallop access areas. Ongoing research suggests that habitat preservation is best achieved through the reduction of effort. If the closures were converted to rotational access areas, scallop dredges would spend less time on bottom, due to an elevated catch per unit effort (CPUE), therefore reducing impacts on benthic habitat. Participants supported continued research on the benefits of such management tactics. The MOFC is proposing that a cooperative research project be conducted to identify the temporal and spatial variations in scallop yield and by-catch ratios. Such a project would facilitate optimization of access area trips in terms of the tradeoffs between by-catch and scallop yield. The MOFC participants proposed that the yellowtail rebuilding schedule be extended from 7 to 10 years. This adjustment remains within the current Magnuson-Stevens Act guidance, but would provide the Council with much needed latitude in setting annual catch limits. The MOFC is advocating the development of a by-catch baseline for the scallop fleet. The baseline should be independent of catch share accounting and utilized as a metric that reductions in scallop by-catch reductions be measured against. A baseline period from 1999 to 2009 has been proposed. The MOFC is advocating that the scallop and groundfish fishing year start dates be aligned to a achieve continuity between the FMPs, especially in regard to the specification of annual catch limits. Participants suggested March 1 as the start date for both fisheries. The scallop fishery currently opens on March 1, while the ground-fishery opens May 1. Historically the ground-fishery was intended to open March 1, but problems with gear modification delayed the start to May 1. The group acknowledged the potential, of several gear modifications, for reducing scallop by-catch. The MOFC is advocating increased focus on the innovation of by-catch reducing technologies. The Mayor’s Ocean Fisheries Council’s positions were developed primarily from a report compiled by Ron Smolowitz (Draft Issues Paper for Consideration by the Joint Groundfish/Sea Scallop Committee – 01/29/2010). This paper was distributed to the MOFC and discussed at the February 8, 2010 Roundtable Meeting, it has also been attached for your reference. 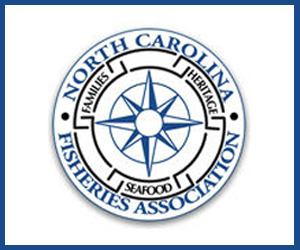 The North Carolina Coastal Conservation Association (CCA) is complaining loudly about the decision by the state last week to intentionally go out of compliance with federal mandates to stop the overfishing of weakfish (also known as gray trout). The Atlantic States Marine Fisheries Commission (ASMFC) has told NC to stop overfishing of weakfish by limiting the recreational catch to 1 fish a day and commercial trip limits to 100 lbs per day. By federal law, NC must enact the requirements of ASMFC Fishery Management Plans (FMPs) or risk federal sanctions against NC fisheries. At issue is the number of weakfish commercial netters would have to throw back under the new rules. 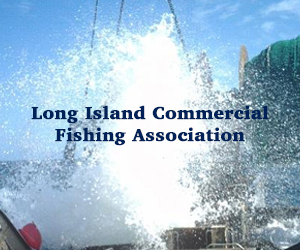 The CCA claims that the Marine Fisheries Committee (MFC) decision is irresponsible and sets up NC for a potential total closure of all fishing for weakfish, while the MFC says that going out of compliance with federal rules is a necessary evil to prevent the waste of a lot of dead discards. ANNAPOLIS (March 30, 2010) — Maryland fishermen say new federal regulations on sea scallops benefit large fishing companies in New England — and put small boats out of business. Read the complete story at Southern Maryland Online. 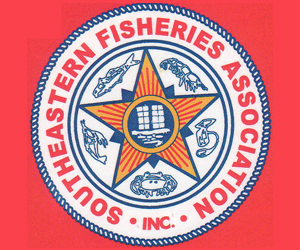 Five weeks before the May 1 start of catch share/sector management of the groundfishery, the mayors of Gloucester and New Bedford have appealed to federal fisheries administrator Jane Lubchenco for relief from the predicted devastating economic and social fallout. Gloucester Mayor Carolyn Kirk wrote to Lubchenco last Friday — four days after Mayor Scott Lang of New Bedford asked for a delay in the start of the new system rather than subject the fishing community to hardships due to the incomplete planning for the transition. Lang noted that federal officials conceded at the mayor's Fisheries Summit Meeting the previous week that the "catch share/sector system is a 'work in progress' and that they will adjust the management allocations as the program develops. "An admission of this magnitude by the regulatory authority is disconcerting, and is an irresponsible way to launch a new program that we know will cause certain harm to the people who work in the industry if not done properly," wrote Lang. Read Gloucester Mayor Carolyn Kirk's Letter to Dr. Lubchenco.